The Summersell Center and Director Dr. John Giggie sponsored the attendance of four undergraduate students – Margaret Lawson, Isabella Garrison, Emma Pepperman, and Morgan Alexander (not pictured) – at the Southern Historical Association’s 2018 Conference in Birmingham, Alabama this past month. The SHA is a major conference on historical research into the American South. 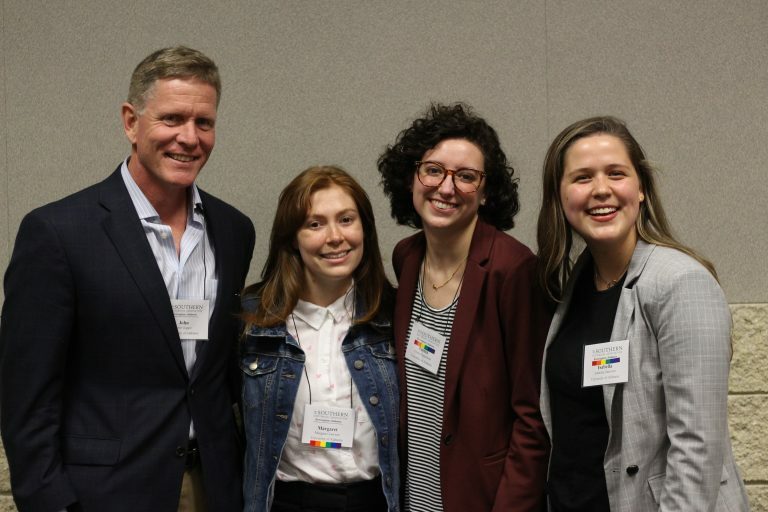 The students, who are all planning on pursuing graduate study after graduation, were able to meet and network with graduate students, historians, editors, and The University of Alabama alumni. The Summersell Center put the students up for two days in Birmingham and paid their membership fees.